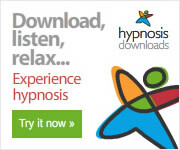 This page is only intended for people who have requested or been specifically provided access to this Progressive Muscle Relaxation session from Free At Last Hypnosis. Please do not share it with others but instead ask them to go and request it themselves through our website. To download “click” on the download button below and this will download to your computer the MP3 file. Make note of the destination directory and filename. Once downloaded, navigate to the same directory and file and import it into your iTunes or MP3 player directory so it will sync for you. Sorry we cannot offer support if you experience problems as each computer is different. Please let me know how you enjoy this Progressive Muscle Relaxation session. I am always eager to get feedback from people and you can contact me using the email address below or use our contact form on the Contact Page.